El mastín, un aliado del ganadero. Manual para su educación y cuidados. Ahmadi M, López-Bao JV Kaboli M.
Álvares F, Alonso P, Sierra P, Petrucci-Fonseca F.
Os fojos dos lobos na Península Ibérica. Sua inventariação, caracterização e conservação. Cultural dimension of wolves in the Iberian Peninsula: implications of ethnozoology in conservation biology. Effectiveness of livestock guarding dogs for reducing predation on domestic sheep. Andelt, W.F. & Hopper, S.N. Livestock guard dogs reduce predation on domestic sheep in Colorado. Journal of Range Management 53(3), 259-267. Anderson , T.M. , vonHoldt , B.M. , Candille , S.I. , Musiani M et al. Ausband, D.E., Mitchell, M.S., Bassing, S.B. & White, C.
No trespassing: Using a biofence to manipulate Wolf movements. Baker, P. J., L. Boitani, S. Harris, G. Saunders, and P. C. White. Balmori, A., Rico, M., Naves, J., Llamazares, E.
Decision making in plant selection during the faecal-marking behaviour of wild wolves. Animal Behaviour, 77 (2): 489-493. Barja, I., de Miguel, F. J., Bárcena, F.
Folia Zoologica, 54 (1-2): 21-29. Barja, I., Silván, G., Illera, J. C.
Journal of Chemical Ecology, 34 (6): 697-701. Tamaño y composición de diferentes grupos de lobos en Castilla y León. Galemys, 12 (nº. esp. ): 249-256. Pp. 51-69. En: Lozano, J., Lacasa, M. (Eds.). El libro de los carnívoros. Photodigiscoping, Barcelona. 323 pp. Situación y problemática del lobo en España. El hábitat del lobo: la importancia de los aspectos ecológicos y socioeconómicos. Pp. 415-432. En: Camprodon, J., Plana, E. (Eds.). Conservación de la biodiversidad y gestión forestal. Su aplicación a la fauna vertebrada. Ed. Universitat de Barcelona, Barcelona. Carnivore Damage Prevention News 6:7-9. La recuperación de un carnívoro adaptable en un ambiente cambiante. El caso del lobo en España. Pp 221-250 de I. Jiménez y M. Delibes (ed. ): Al borde de la extinción: integrando ciencia, política y sociedad en la recuperación de especies amenazadas. Ed. Evren, Valencia. Ecología, censos, percepción y evolución del lobo en España: análisis de un conflicto. 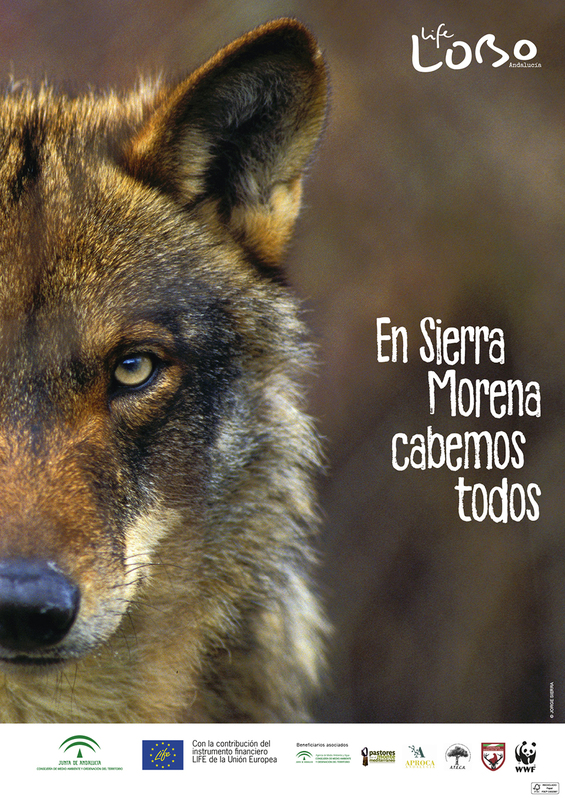 Ecological and social constraints of wolf recovery in Spain. Pp. 41-66. En: Musiani, M., Boitani, L., Paquet, P. C. (Eds.). A new era for wolves and people: wolf recovery, human attitudes, and policy. University of Calgary Press, Calgary. Canadian Journal of Zoology, 83 (2): 312-323. Blanco, J. C., Cuesta, L., Reig, S. (Eds.). Blanco, J. C., Sáenz de Buruaga, M., Llaneza, L.
Pp. 272-276. En: Palomo, L. J., Gisbert, J., Blanco, J. C. (Eds.). Atlas y libro rojo de los mamíferos terrestres de España. Dirección General de Conservación de la Naturaleza- SECEM- SECEMU, Madrid. 588 pp. Borg BL, Arthur SM, Bromen NA, Cassidy KA, McIntyre R, Smith DW y Prugh LR. Implications of harvest on the boundaries of protected areas for large carnivore viewing opportunities. Effects of wolf removal on livestock depredation recurrence and wolf recovery in Montana, Idaho, and Wyoming. The Journal of Wildlife Management 79(8):1337–1346. Bradley, E.H. & Pletscher, D.H.
Wildlife Society Bulletin, 33(4), 1256-1265. Le loup au versant nord de la Cordillière Cantabrique. Acta Biol. Montana, 1: 33-52. The Sheep-Guarding Dog of Abruzzo. Managing wolf depredation in the United States: Past, present and future. USDA National Wildlife Research Center Staff Publications. Paper 83. Breck, S. W., R. Williamson, C. Niemeyer, and J. A. Shivik. Non lethal radio activated guard for deterring wolf depredation in Idaho: summary and call for research. Vertebrate Pest Conference 20: 223–226. Browne-Nuñez, C., Treves, A., MacFarland, D., Voyles, Z. y Turng, C.
Tolerance of wolves in Wisconsin: A mixed methods examination of policy effects on attitudes and behavioural inclinations. Human Dimensions of Wildlife 14:119–132. Caetano, P., S. Ribeiro, and J. P. Ferreira. Colección Espíritu Salvaje, nº 1. 192 pp. Applied Geography, 24 (3): 199-215. Blood does not buy goodwill: allowing culling increases poaching of a large carnivore. Proc. R. Soc. B 283: 20152939. Colino-Rabanal, V. J., Lizana, M., Peris, S. J.
Tesis doctoral. Universidad Complutense de Madrid, Madrid. Coulson , T. , MacNulty , D.R. , Stahler , D.R. , vonHoldt , B. , Wayne , R.K. , and Smith , D.W.
Science , 334 , 1275 – 8 . Creel S. y Rotella J.J.
Meta-Analysis of Relationships between Human Offtake, Total Mortality and Population Dynamics of Gray Wolves (Canis lupus). PLoS ONE 5(9): e12918. doi:10.1371/journal.pone.0012918. Cuesta, L., Bárcena, F., Palacios, F., Reig, S.
Cummins, B. and P. Lore. Pyrenean partners: herding and guarding dogs in the French Pyrenees. Davidson-Nelson, S.J. & Gehring, T.M. Testing fladry as a nonlethal management tool for wolves and coyotes in Michigan. Livestock Protection Dogs: Selection, Care and Training. Domínguez, G., De la Torre, J. A.
Proc. R. Soc. B 282:20151602. Percepción social de los grandes mamíferos en la cordillera cantábrica (montaña de Riaño, León). Noninvasive monitoring of wolves at the edge of their distribution and the cost of their conservation. Fernández de Luco, D., Gortázar, C., Varea, R.
Doñana, Acta Vertebrata, 24 (1-2): 207-210. Comportamiento y conservación de grandes carnívoros en ambientes humanizados. Osos y lobos en la Cordillera Cantábrica. Tesis doctoral, Universidad de Oviedo, Oviedo. Fernández, J. M., Ruiz de Azúa, N.
European Journal of Wildlife Research, 56 (2): 169-179. Los lobos de la Península Ibérica. Propuestas para el diagnóstico de sus poblaciones. Fernández-Gil, A., Naves, J., Ordiz, A., Quevedo, M., Revilla, E., Delibes, M.
Figueiredo, A., Oliveira, L., Madeira de Carvalho, L., Fonseca, C., Torres, R. T.
Parasite species of the endangered Iberian wolf (Canis lupus signatus) and a sympatric widespread carnivore. Fortin D, Beyer HL, Boyce MS, Smith DW, Duchesne T, et al. Wolves influence elk movements: behavior shapes a trophic cascade in Yellowstone National Park. Limits to plasticity in gray wolf, Canis lupus, pack structure: conservation implications for recovering populations. Utility of livestock-protection dogs for deterring wildlife from cattle farms. Livestock protection dogs in the 21st century: Is an ancient tool relevant to modern conservation challenges? Dispersal of wolves (Canis lupus) in northeastern Minnesota, 1969-1989. Canadian Journal of Zoology, 69: 2946-55. Godinho R, López-Bao JV, Castro D, Llaneza L, Lopes S, Silva P, Ferrand N.
Real-time assessment of hybridization between wolves and dogs: combining noninvasive samples with ancestry informative markers. Genetic evidence for multiple events of hybridization between wolves and domestic dogs in the Iberian Peninsula. Molecular Ecology, 20 (24): 5154-5166. Persecución del lobo (Canis lupus L., 1758) en Girona (NE ibérico) durante los siglos 18 y 19: ejemplo de utilización de datos de archivo. Livestock Guarding Dogs. Protecting Sheep from Predators. Molecular Ecology , 18 , 1341 – 51 . Hailer , F. and Leonard. J.A. Hybridization among three native North American Canis species in a region of natural sympatry . The Journal of Wildlife Management 72:778–784. Hindrikson, M. , Männil, P. , Ozolins, J., Krzywinski, A. , and Saarma, U.
Houston, M.J., Bruskotter, J.T. y Fan, D.
Attitudes toward wolves in the United States and Canada: A content analysis of the print news media, 1999–2008. Human Dimensions of Wildlife, 15: 389–403. Indirect effects of carnivores on livestock foraging behavior and production. Sheep and Goat Research Journal 19: 53–57. Hughes , J. and MacDonald , D.W. Biological Conservation , 157 , 341 – 51 . Iacolina , L. , Scandura , M. , Gazzola , A. , Cappai , N. , Capitani , C. , Mattioli , L. , Vercillo , F. y Apollonio , M.
Mammalian Biology , 75 , 341 – 7 . Jiménez, J., García, E. J., Llaneza, L., Palacios, V., González, L. M., García-Domínguez, F., Muñoz-Igualada, J., López-Bao, J. V.
Conservation Biology, 30 (4): 883-893. Karlsson, J. y Sjöström, M.
Human attitudes towards wolves, a matter of distance. Predator and heterospecifc stimuli alter behavior in cattle. Lance, N. J., Breck, S. W., Sime, C., Callahan, P., Shivik, J. A. Biological, technical, and social aspects of applying electrified fladry for livestock protection from wolves (Canis lupus). Synthèse de la littérature sur les chiens de protection. Institut pour la Promotion et la Recherche sur les Animaux de Protection, Corgémont (CH). Effects of Wolves on Elk and Cattle Behaviors: Implications for Livestock Production and Wolf Conservation. Wolves, elk, and bison: reestablishing the ‘‘landscape of fear’’ in Yellowstone National Park, U.S.A.
Laurenson, M.K. , Sillero-Zubiri, C. , Thompson, H. , Shiferwa, F. , Thirgood, T. , and Malcolm, J.R.
Leonard JA, Echegaray J, Randi E y Vilà C.
Liberg , O. , Andrén , H. , Pedersen , H.-C. , Sand , H. , Sejberg , D. , Wabakken , P. , Åkesson , M. , and Bensen , S.
Liberg, O., Chapron, G., Wabakken, P., Pedersen, H.C., Hobbs, N.T. y Sand, H.
Shoot, shovel and shut up: cryptic poaching slows restoration of a large carnivore in Europe. Proc. Biol. Sci. 279: 910–915. Licht, D.S., Millspaugh, J.J., Kunkel, K.E., Kochanny, C.O. y Peterson, R.O. Using small populations of wolves for ecosystem restoration and stewardship. Linnell JDC y Lescureux N.
Linnell JDC, Smith ME, Odden J, Swenson JE y Kaczenski P.
Carniivores and sheep farming in Norway. 4. Strategies for the reduction of carnivore- livestock conflicts. A review. Situación del lobo (Canis lupus L.) en Castilla y León en 2001. Evolución de sus poblaciones. Llaneza L, Palacios V, Uzal A, Ordiz A, Sazatornil V, Sierra P, Álvares F.
Distribución y aspectos poblacionales del lobo ibérico (Canis lupus signatus) en las provincias de Pontevedra y A Coruña (Galicia). Llaneza, L., Alvares, F., Ordiz, A., Sierra, P., Uzal, A.
Distribución y aspectos poblacionales del lobo ibérico en la provincia de Ourense. Dieta del lobo en dos zonas de Asturias (España) que difieren en carga ganadera. Doñana, Acta Vertebrata, 23: 201-213. Llaneza, L., García, E. J., López-Bao, J. V.
Intensity of territorial marking predicts wolf reproduction: implications for wolf monitoring. Llaneza, L., García, E. J., Palacios, V., Sazatornil, V., López-Bao, J. V.
Resting in risky environments: the importance of cover for wolves to cope with exposure risk in human-dominated landscapes. Llaneza, L., Herrador, R., García, V. M., Callejo, A.
Seguimiento estival e invernal de lobos en los Ancares lucenses. Llaneza, L., López-Bao, J. V.
European Journal of Wildlife Research, 61 (6): 895-902. Insights into wolf presence in human-dominated landscapes: the relative role of food availability, humans and landscape attributes. Diversity and Distributions, 18 (5): 459-469. Wildlife Biology in Practice, 5 (1): 23-32. Llaneza, L., Ordiz, A., Palacios, V., Uzal, A.
Wildlife Biology in Practice, 1 (2): 108-117. Llaneza, L., Rico, M., Iglesias, J.
Llaneza, L., Rico, M., Iglesias, J. (1998). 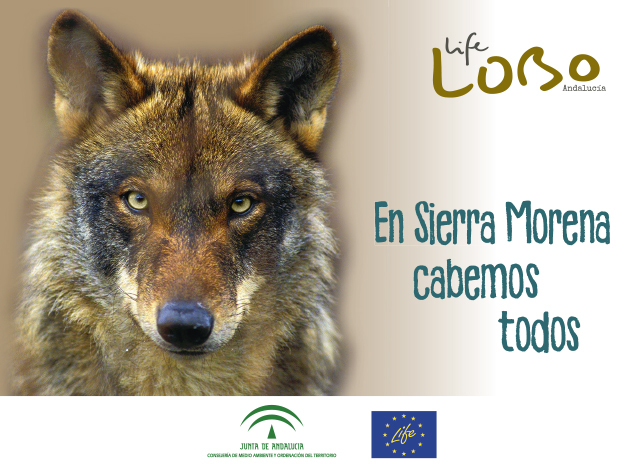 Descripción y resultados de varios métodos de muestreo para la detección y censo de lobo ibérico (Canis lupus signatus) en una zona de montaña. López-Bao JV, Blanco JC, Rodríguez A, Godinho R, Sazatornil V, Álvares F, García EJ, Llaneza L, Rico M, Cortés Y, Palacios V, Chapron G.
López-Bao, J. V., Sazatornil, V., Llaneza, L., Rodríguez, A. Indirect effects on heathland conservation and wolf persistence of contradictory policies that threaten traditional free- ranging horse husbandry. Lute, M.L., Bump, A. y Gore, M.L. Biochemical Systematics and Ecology, 38 (6): 1096-1102. War against the wolf: America’s campaign to exterminate the wolf. The wolf. The ecology and behavior of an endangered species. Univ. of Minnesota Press, Minneapolis, London. Where can wolves live and how can we live with them? IUCN Red List of Threatened Species. Version 2011.1. <www.iucnredlist.org>. Wolves: behavior, ecology, and conservation. Mech, L. D., Adams, L. G., Meier, T. J., Burch, J. W., Dale, B. D.
University of Minnesota Press, Minneapolis, London. Assessing factors that may predispose Minnesota farms to wolf depredations on cattle. Biological Conservation 150: 143– 149. Consideration for developing wolf harvesting regulations in the contiguous United States. The Journal of Wildlife Management 74: 1421–1424. Millán, J., López-Bao, J. V., García, E. J., Oleaga, A., Llaneza, L., Palacios, V., de la Torre, A., Rodríguez, A., Dubovi, E. J., Esperón, F.
Muhly TB, Alexander M, Boyce MS, Creasey R, Hebblewhite M, et al. Muhly, T. B. and Musiani, M.
Livestock depredation by wolves and the ranching economy in the northwestern U.S.
Muñoz-Fuentes , V. , Darimont , C.T. , Wayne , R.K. , Paquet , P.C. , and Leonard , J.A. Musiani M, Mamo C, Boitani L, Callaghan C, Gates CC, et al. Wolf depredation trends and the use of barriers to protect livestock in western North America. Wildlife Society Bulletin 33: 876–887. Musiani, M., Mamo, C., Boitani, L., Callaghan, C., Gates, C.C., Mattei, L…Volpi, G.
Wolf depredation trends and the use of fladry barriers to protect livestock in western North America. Evaluating the predictive power of field variables for species and individual molecular identification on wolf noninvasive samples. Naughton-Treves, L., Grossberg, R. y Treves, A. Paying for tolerance: Rural citizens’ attitudes toward wolf depredation and compensation. Nores, C., Llaneza, L., Alvarez, M. A. Wild boar Sus scrofa mortality by hunting and wolf Canis lupus predation: an example in northern Spain. Wildlife Biology, 14 (1): 44-51. Oakleaf, J. K., Mack, C., Murray, D. L.
Journal of Wildlife Management 67 (2), 299-306. Oleaga, A., Alasaad, S., Rossi, L., Casais, R., Vicente, J., Maione, S., Soriguer, R. C., Gortázar, C.
Genetic epidemiology of Sarcoptes scabiei in the Iberian wolf in Asturias, Spain. Oleaga, A., Casais, R., Prieto, J. M., Gortázar, C., Balseiro, A. Comparative pathological and immunohistochemical features of sarcoptic mange in five sympatric wildlife species in Northern Spain. Oleaga, A., Vicente, J., Ferroglio, E., Pegoraro de Macedo, M. R., Casais, R., del Cerro, A., Espi, A., García, E. J., Gortázar, C.
Concomitance and interactions of pathogens in the Iberian wolf (Canis lupus). Palacios V, Font E, Márquez R, Carazo P.
Palacios V, Font E, Márquez R.
Iberian Wolf Howls: Acoustic structure and individual variation. Journal of Mammalogy 88: 606-613. Palacios, V., López-Bao, J. V., Llaneza, L., Fernández, C., Font, E.
Decoding group vocalizations: the acoustic energy distribution of chorus howls is useful to determine wolf reproduction. Petrucci-Fonseca, F., Pires, A. E., Ribeiro, S., Almendra, L., Clemente, A., Collaco, M. T., Matos, J., Simoes, F.
Galemys, 12 (Número Especial): 135-148. Pilot , M. , Branicki , W. , Je˛drzejewski , W. , Goszczyn´ ski , J. , Jedrzejewska , B. , Dykyy , I. , Shkvyrya , M. , and Tsingarska, E.
Phylogeographic history of grey wolves in Europe. Pilot, M. , Jedrzejewski, O. , Branicki, W. , Sidorovich, V.E. , Jedrzejewska, B. , Stachura, K. , and Funk, S.M. Planella, A., Palacios, V., García, E. J., Llaneza, L., García-Domínguez, F., Muñoz-Igualada, J., López-Bao, J. V.
European Journal of Wildlife Research, 62 (4): 471-478. Diferencias macroscópicas entre pelos de perro (Canis familiaris Linnaeus, 1758) y lobo Ibérico (Canis lupus signatus Cabrera, 1907). Galemys, 13 (Número Especial): 205-215. Poudyal N., Baral N., Asah S.T. Wolf lethal control and livestock depredations: Counter-evidence from respecified models. Randi , E. , Lucchini , V. , Christensen , M.F. , Funk , S.M. , Dolf , G. , and Loeschke , V.
Mitochondrial DNA variability in Italian and east European wolves: detecting the consequences of small population size and hybridization. Review of livestock management practices to minimize livestock depredation by wolves: Applicability to the southwest (Report 78). Livestock Guarding Dogs: Their Current Use World Wide. Mitigating carnivore–livestock conflict in Europe: Lessons from Slovakia. Rio-Maior, H., Beja, P., Nakamura, M., Santos, N., Brandao, R., Sargo, R., Dias, I., Silva, F., Alvares, F.
Journal of Wildlife Management, 80 (4): 729-735. Trophic cascades in Yellowstone: The first 15 years after wolf reintroduction. Roque S, Álvares F, Petrucci-Fonseca F.
Rutledge , L.Y. , Garroway , C.J. , Loveless , K.M. , and Patterson , B.R. Heredity , 105 , 520 – 31 . Salvador, A., Abad, P. L.
European Journal of Wildlife Research, 61 (1): 135-141. Sastre, N., Vila, C., Salinas, M., Bologov, V. V., Urios, V., Sánchez, A., Francino, O., Ramírez, O. Conservation Genetics, 12 (3): 701-712. Sazatornil, V., Rodríguez,A., Klaczek, M., Ahmadi, M., Álvares, F., Arthur, S., Blanco, J.C., Borg, B.L., et al. Shivik, J. A., Treves, A., & Callahan, P.
Nonlethal techniques for managing predation: Primary and secondary repellents. USDA National Wildlife Research Center –Staff Publications. Paper 272. Non-lethal alternatives for predation management. Sheep & Goat Research Journal 19, 64-71. Sime, C.A., Bangs, E., Bradley, E., Steuber, J.E., Glazier, K., Hoover, P.J., Asher, V., Laudon, K., Ross, M. & Trapp, J. Gray wolves and livestock in Montana: A recent history of damage management. Montana Fish, Wildlife & Parks. Slagle, K., J. T. Bruskotter, A. S. Singh, and R. H. Schmidt. Attitudes toward predator control in the United States: 1995 and 2014. Smith, M.E., Linnell, J.D.C., Odden, J. & Swenson, J.E. Acta Agriculturae Scandinavica 50, 279-290. Acta Agriculturae Scandinavica 50, 304-315. Sobrino, R., Amal, M. C., Luco, D. F., Gortazar, C.
Veterinary Microbiology, 126 (1-3): 251-256. Sobrino, R., González, L. M., Vicente, J., Fernández de Luco, D., Gárate, T., Gortazar, C.
Parasitology Research, 99 (6): 753-756. Steele, J.R., Rashford, B.S., Foulke, T.K., Tanaka, J.A. & Taylor, D.T. Wolf (Canis lupus) predation impacts on livestock production: Direct effects, indirect effects, and implications for compensation ratios. Rangeland Ecology & Management 66(5), 539-544. Livestock and wolves: A guide to nonlethal tools and methods to reduce conflict. Tellería, J. L., Sáez-Royuela, C.
Doñana, Acta Vertebrata, 16(1): 105-122. Los lobos de Morla. Círculo de Bibliofilia Venatoria, Madrid. Hunting for large carnivore conservation. Journal of Applied Ecology, 46: 1350–1356. Longitudinal analysis of attitudes toward wolves. Predicting human-carnivore conflict: a spatial model derived from 25 years of data on wolf predation on livestock. Treves, A., Wallace, R.B. and White S.
Participatory planning of interventions to mitigate human–wildlife conflicts. Urios, V., Vila, C., Castroviejo, J.
Galemys, 12 (Número Especial): 241-248. Valverde, J. A., Hidalgo, A.
Cow dogs: Use of livestock protection dogs for reducing predation and transmission of pathogens from wildlife to cattle. Applied Animal Behaviour Science, 140(3), 128-136. Vilà , C. , Savolainen , P. , Maldonado , J.E. , Amorim , I.R. , Rice , J.E. , Honeycutt , R.L. , Crandall , K.A. , Lundeberg , J. , and Wayne , R.K.
Science , 276 , 1687 – 9 . Vilà , C. and Wayne. R.K.
Hybridization between wolves dn dogs. Conservation Biology , 13 , 195 – 8 . Tesis Doctoral. Universidad de Barcelona. Vilà, C., Amorim, I. R., Leonard, J. A., Posada, D., Castroviejo, J., Petrucci-Fonseca, F., Crandall, K. A., Ellegren, H., Wayne, R. K.
Mitochondrial DNA phylogeography and population history of the grey wolf Canis lupus. Vilà, C., Urios, V., Castroviejo, J.
Ecología del lobo en La Cabrera (León) y la Carballeda (Zamora). Use of faeces for scent marking in Iberian wolves (Canis lupus). Observations on the daily activity patterns of the Iberian wolf. Pp. 335-340. En: Carbyn, L. N., Fritts, S. H., Seip, D.R. (Eds.). Ecology and conservation of wolves in a changing world. Canadian Circumpolar Institute, University of Alberta. Edmonton, Alberta. vonHoldt , B.M. , Pollinger , J.P. , Earl , D.A. , Knowles , J.C. , et al. Genome Research , 21 , 1294 – 1305 . Wallach , A.D. , Ritchie , E.G. , Read , J. , and O’Neill , A.J. M.K. , and Artois , M.
In D.W. Macdonald and C. Sillero-Zubiri , Eds., Biology and Conservation of Wild Canids . Oxford University Press , Oxford, pp . 123 – 42 . Young , J.K. , Olson , K.A. , Reading , R.P. , Amgalanbaatar , S. , and Berger , J. Conservation performance payments for carnivore conservation in Sweden.